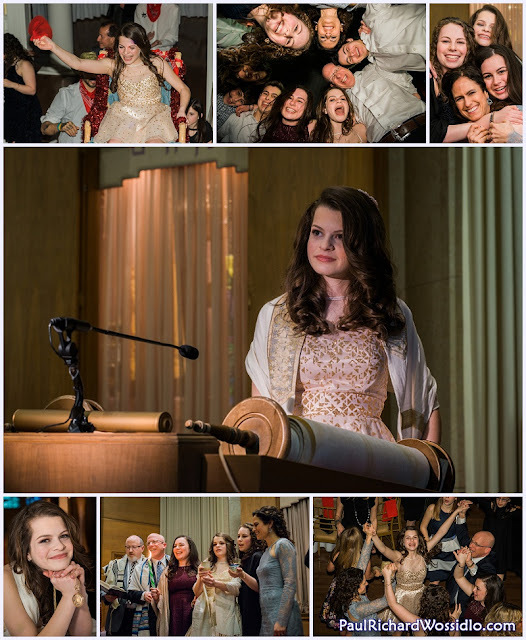 Erin's Bat Mitzvah in the middle of March officially kicked off our 2017 season. Fortunately her family loves to have a good time, and love to have their photo taken! The party was at the Pittsburgh Golf Club in Squirrel Hill. It is a great place to shoot because there's a balcony around the entire dance floor which gives a unique angle for some photos and also a safe place to position off-camera flashes so they won't become victimized by overly exuberant Hora dancers.